Ever since I decided that 2015 would be the year I embraced hair accessories, I've been obsessed with Crown & Glory, makers of off the hook hair things, who are going from success to success. I've now built up a seriously ace collection of glittery bows, hairbands and flower crowns, thanks to my Glitterati subscription, but I want more - I am well and truly addicted. 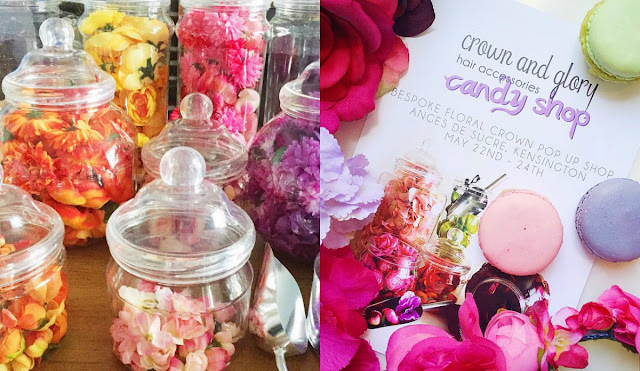 So I'm a bit jealous of all you Londoners, as this week the Crown and Glory Candy Shop will be popping up at decadent bakery and macaron-makery, Anges de Sucre. 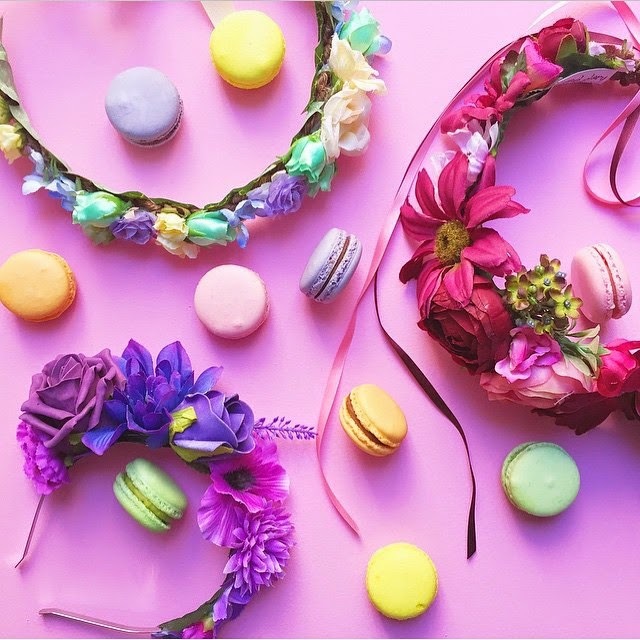 Here you can take your pick from Crown & Glory's treasure trove of beautiful floral blooms and glittery pieces to make your own, completely bespoke, floral crown, fascinator or headband. How amazing is that? The Crown and Glory Candy Shop will be open on Friday 22nd May (12pm - 6pm), Saturday 23rd May (10am - 6pm) and Sunday 24th May (11am - 5pm) at Anges de Sucre, 1 Holland Street, Kensington, London. I wish I could go!